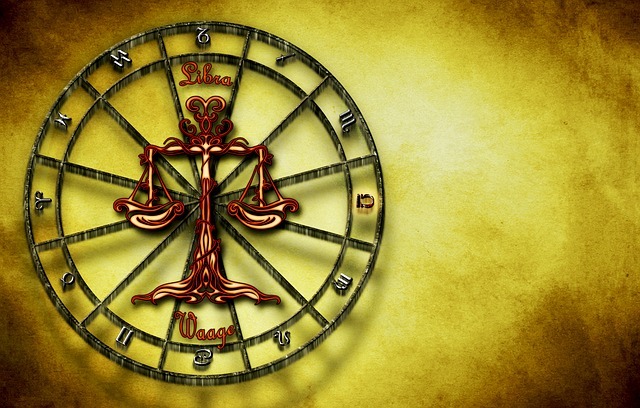 Weekly Libra horoscopes for the 15th-21st April 2018 – with a difference! We tell you the planetary weather, and you decide how you will plan around it! Will you take an umbrella? Will you dance in the rain? Or will you fall in a puddle? Same weather, different outcomes! This astrological weather report for the 15th-21st April 2018 is for people with predominantly Libra energies in their chart. For example, this could be if Libra is your sun sign, rising sign, or moon sign. The critical areas of life which will demand your focus this week are a significant other, your deepest fears, your hopes and faith, and your life goals. The weekend’s new moon will have brought you an ending and a beginning concerning confusing and unpredictable experiences you have had with a significant other. For a few weeks now, in particular, you have felt that things have come to crunch time. Libra prefers to avoid conflict. However, you think that you have experienced nothing but an aggressive and egotistical war of words with someone. Your intuition keeps urging you to assert your position with this person. However, your instincts wish for you to hold back. It could be that you have seen a part of yourself that attracts the very conflict that you don’t see as part of your personality. Indeed, you have experienced a troubling moment where you have looked in the face of a significant other and realized that they are your mirror. But also, it may have caused you to feel resolved to re-think who you are, and what you say, within the relationship. Also, your family has been throwing hints to you that this may be the case. Blood is thicker than water, and you may come to understand that the steady foundation they provide needs to be the basis upon which you go out into the world. If your experiences with your identity, life goals, and relationship with a significant other are unstable, then it means you need to strengthen the foundations they stand on. It has been a difficult time, and you have experienced an ego death that you thought should have been the ego death of your significant other. But by changing yourself, you will be surprised that after the period that is darkest before dawn, when the sun begins to rise, your ego death will be reflected and balanced in how your significant other relates to you. Clarity between you will return. As the week begins to unfold, you may feel a resolve to maintain an internal balance. As a result, this reflects more clarity between you and a significant other. Consequently, it could be that you experienced a loving and deepened intimacy that you have longed for. By sharing and compromising on what is most valuable to you both, you feel that you create between you a circuit of love, validation, and optimism. One of the surprising outcomes may also be that you experience improvements in your financial situation. Deepening all relationships, whether with a significant other, or family members, provides many positive opportunities right now. Later in the week, you may find that you instinctively wish to connect with whatever it is that you consider being your higher power or philosophy. You are feeling more hopeful, and your faith feels stronger. Slowly, you are unraveling many of the confusing conversations you may have had with a significant other. You may have many light bulb moments when you instead perceive them via the high road. It could be that an unexpected event, of the type that may have unnerved you in the past, brings surprising opportunities to you. By the weekend, you may feel that you can take advantage of the deepening connection with your foundations to consider some of your life goals, and who you are in the public realm. Healthy boundaries with relatives make you feel more stable to put yourself out there, so to speak. Indeed, family members may be a source of keen encouragement to move forward. In addition, the deepening intimacy between yourself and a significant other provides a sense of validation that you can take a leap of faith to go out and get what you want. You know what you value, and this lights up many opportunities for you to fulfill your life’s dreams.